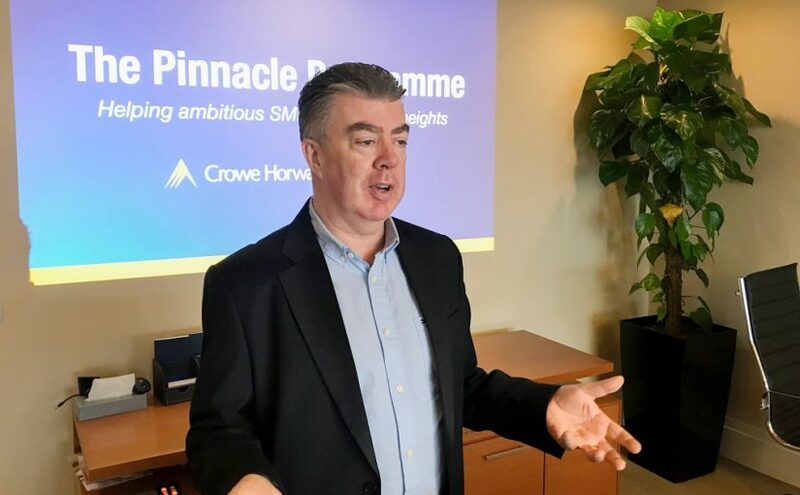 Bob Lee, expert on high-trust, high-performance workplace cultures, was guest speaker at the first session of our Pinnacle Programme – our support programme for owners of Irish SMEs. He outlined his vision for how a business can attract and retain great talent and it all comes down to building a high-trust culture between managers and staff . As a founding director of A Great Place to Work UK & Ireland, Bob shared his insights drawn from data across 80 countries. He outlined the overriding simple concept behind the world’s best workplaces and how they achieve extraordinary results when it comes to attracting and retaining staff. The unique competitive advantage that the world’s best workplaces have is their culture, and the basis of that culture is building a high- trust environment from the top down.